Michael John “Duke” Robillard is a guitarist, vocalist, songwriter, bandleader, studio sideman, producer, label operator and educator. 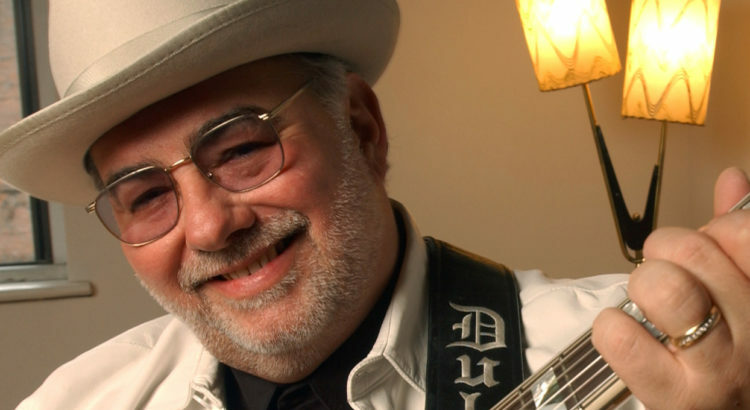 The Blues Music Awards (formerly W.C.Handy Awards) named Duke Robillard Best Blues Guitarist four years out of five (2000, 2001, 2003, 2004) making him the second most honored guitarist for that award! He was also nominated in that category in 2005, 2007 and 2008. In 2007 Duke received a Grammy nomination for his Guitar Groove-a-rama CD and was also honored with the prestigious Rhode Island Pell Award for excellence in the arts. Other awards over the last decade include three Canadian Maple Blues Awards in 2001, 2002, and 2003 for Best International Blues Artist, The Blues Foundation’s Producer of the Year award in 2004, The French Blues Association Album of the Year award in 2002 and Guitarist of the Year awards in 1999 and 2002.